The Campino is the smart, small foot print campervan designed to satisfy the Australian travellers desire, whilst being affordable and reliable. It’s bursting at the seems with extras and showcases all our practical, dynamic and nifty ideas, plus optional colour schemes, which are normally only found in high priced premium class or custom build conversions. All Campinos are hand built in our state-of-the art workshop, to the highest quality. We use only the best quality materials, hardware and appliances, guaranteeing a long lasting and great performance. The Campino has a variable layout. With it's intelligent VARIO function design it can cater for most travellers’ preferences - single travellers as well as couples in all age groups. The Campino is actually the only series-production campervan in its class complying with the "LEAVE NO TRACE" scheme by the CMCA. This means that unlike most campervans in this price range you can travel in remote areas, National Parks and where only self-contained vehicles are permitted. The Toyota HiAce is approved by well known, long established RV manufacturers around the country and tested by all major RV rentals to be the most reliable camper in its class. Now we have made it special as well. Become a Campino owner and you will never look back! at our Brisbane located premises. Key factor for innovation & build quality is our German background. Fresh colour schemes and a new approach in interior design. The HiAce - for over 35 years the trusted choice of Australian travellers. 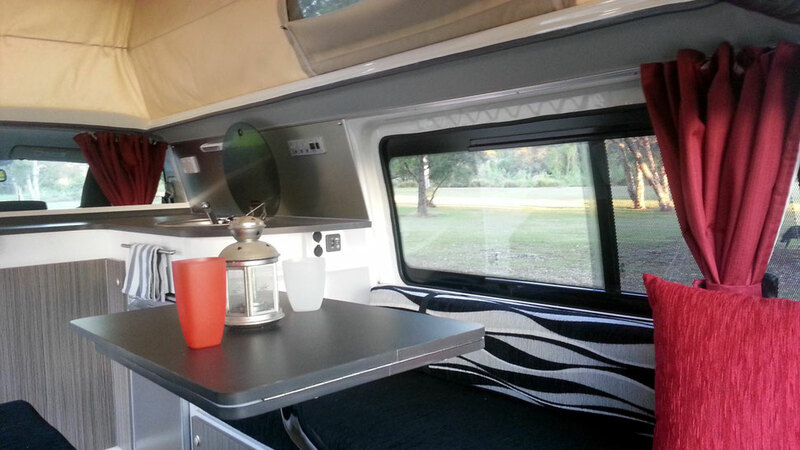 More then 15 years experience in the field of RV conversions and custom builds - allowing the Southern Spirit Team to build the best "little" camper which is really packed with features. To bring the reputable Hiace to a new level when it comes to Campervan conversions. Our goal was to build the most versatile camper possible based on the proven, durable Toyota LWB. An affordable camper with the charm and quality of a custom build van! To ensure we maintain our high standards we have limited the number of Campinos that we will build and sell each year.